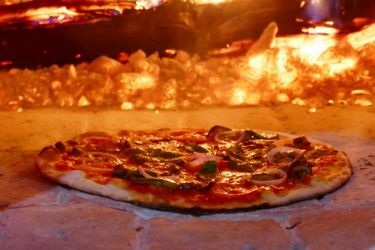 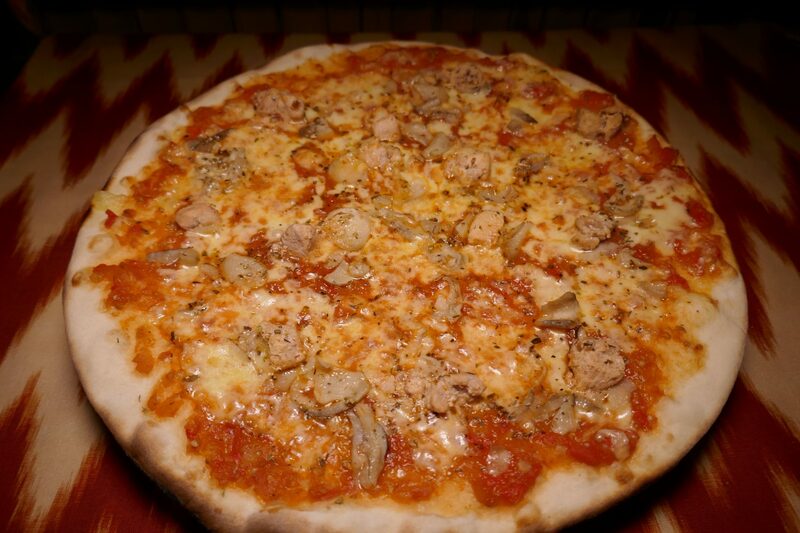 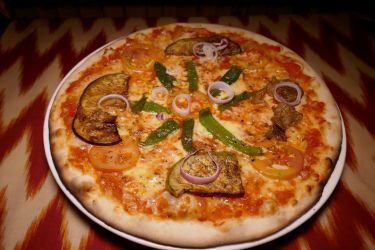 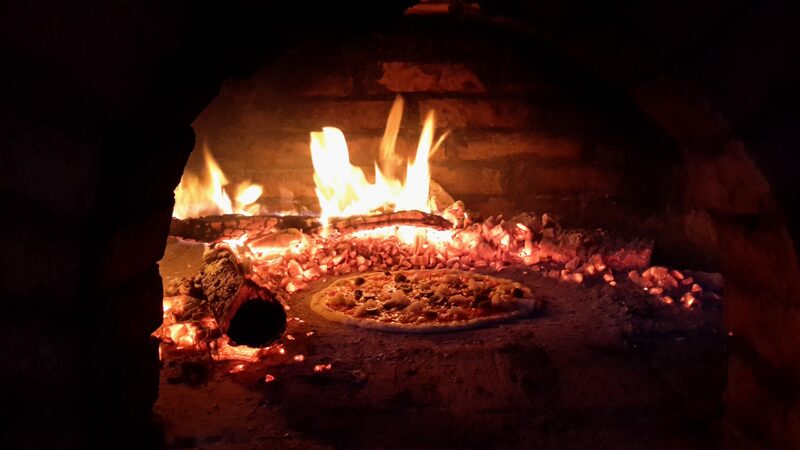 Cooked to order in the wood fired oven with delicious fresh ingredients on a thin base. Add to that the charming courtyard setting, free wifi and friendly staff, it was a memorable occasion. 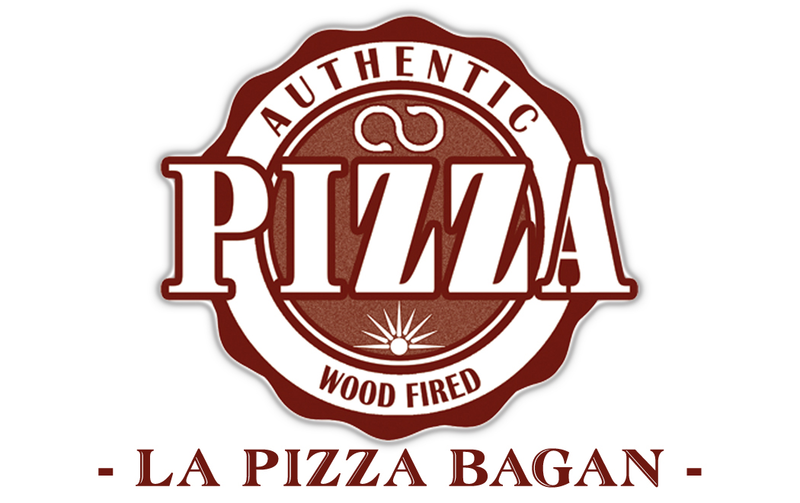 Went several times and recommended it to others in our tour group who also enjoyed it.